With its rustic-chic venues and stunning scenery, no barn Outdoor Wedding Venues In Nc can offer rivals those at The Horse Shoe Farm. The majestic mountain vista of the Southern Appalachians encompasses over 80 acres of our rolling green pasture. Bright white fencing cuts through the farm, providing a rustic elegance to any outdoor ceremony. Three barn venues can accommodate up to 500 guests. And dazzling sunsets also add a spectacular ambiance to your special event. 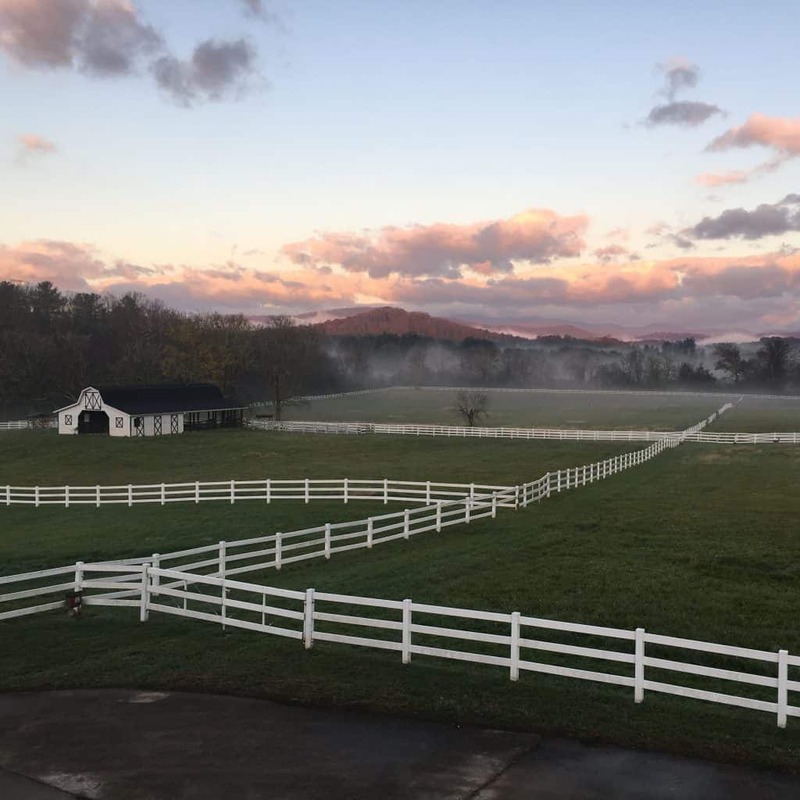 Throughout the entire Asheville and surrounding area, no other retreat will provide you the same appeal and natural beauty found at The Horse Shoe Farm. Not many barn wedding venues in Asheville offer you the same kind of selection found at The Horse Shoe Farm. In addition to our pristine farmland, we also have three barn venues perfect for your ceremony or reception. The Sunset Barn is a 6,500 square-foot climate-controlled building just waiting to be transformed. This chic barn features crisp white siding and elegant dark trim, in addition to perfectly manicured shrubbery. The understated design translates seamlessly into any kind of wedding decor. Use the partition to divide the space in two, making for easy transitions between ceremony and receptions, or cocktails and dinner. You could also retract the four large doors to allow plenty of natural light to flood the room. And because the barn is situated on one of the highest points on the property, guests can soak in sights of the expansive property and nearby Mount Pigsah vista. Or keep the doors closed to keep things comfortable throughout the night. At just around 6,000 square feet of space, The Mountain Wedding Venues in Nc Big Sky Barn is a massive venue and a proverbial blank slate. Transform the space into your ideal reception space with decorations, seating arrangements and a designated dance floor. Alternatively, you could also dress it up for a romantic ceremony with twinkling lights, rustic touches and romantic swags. One of the most iconic barn wedding venues Asheville can provide is The Stable House at The Horse Shoe Farm. This “barndomonium” is a working equestrian facility. In addition to fourteen spacious stalls, the stable features a feed room, tack room, and wash stall. Greenery trims the beautiful facade of the barn, and warm wooden planks line the walls and ceiling of the catwalk. Situated on one of the highest points on the property, The Sunset Barn is an idyllic place to soak in a spectacular sunset. In the second story loft, we’ve remodeled the space into a luxurious five bedroom rental. Spend the night at The Stable House, and use the expansive space as a bridal suite the morning of the wedding. No matter how long your hair and makeup takes, you’re just a few steps away from your ceremony space! The space features heating, air conditioning and a dividing wall, which sections the room into two areas. Allow your event to seamlessly flow from cocktails to dinner or ceremony to reception without elaborate planning or frantic setup. 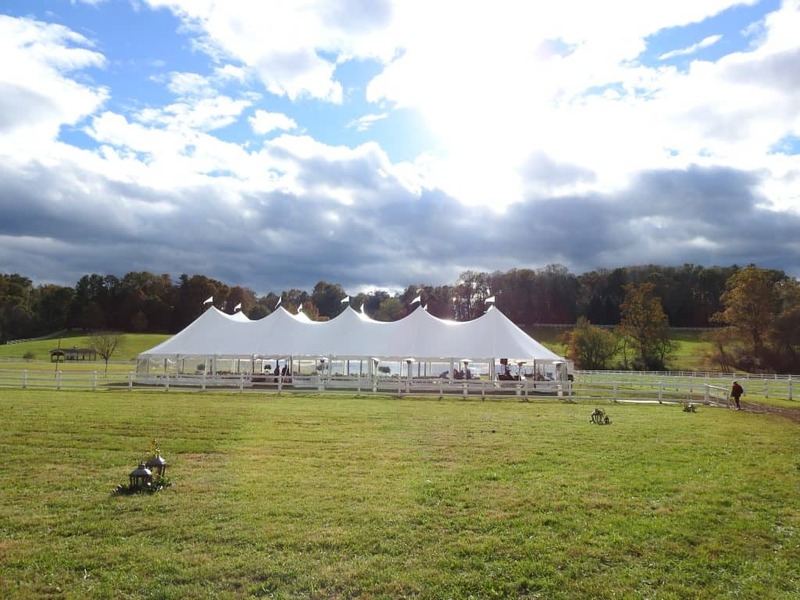 For the best barn wedding venues in Asheville, explore the property at The Horse Shoe Farm. View our online wedding brochure to view our all-inclusive wedding packages and see how your wedding can be made special by spending a day at the farm.